The humanities are not just dying. By some measures, they are almost dead. In Scotland, the ancient Chairs in Humanity (which is to say, Latin) have almost disappeared in the last few decades: abolished, left vacant, or merged into chairs of classics. So too in the same period, the University of Oxford revised its famed Literae Humaniores course, “Greats,” into something resembling a technical classics degree. Both of these were long survivors, throwbacks to an era in which Latin in particular played the central, organizing role in the constellation of disciplines that we call the humanities. The loss of these “vestigial structures” reveals a long and slow realignment, in which the humanities have become a loosely defined collection of technical disciplines, with some genealogical connection to the old arts curriculum and the humanistic curriculum of the new universities of the Renaissance. The result of this is deep conceptual confusion about what the humanities are and the reason for studying them in the first place. I do not intend to address the former question here, nor the related question about whether there can indeed by any coherent description of the humanities without Literae Humaniores, nor the question about which specific current academic disciplines are included. After all, most of us know the humanities when we see them. Such an endeavor is fraught with ambiguities and contraindications. There is certainly some connection with current political divides, but it is not quite so simple as its critics often allege. Vulgar conservative critiques of the humanities are usually given the greatest exposure, and yet at the same time, it is often political (and religious) conservatives who have labored the most mightily to foster traditional humanistic disciplines in schools. Left defenders of the humanities have defended their value in the face of an increasingly corporate and crudely economic world, and yet they have also worked to gut some of the core areas of humanistic enquiry—“Western civ and all that”—as indelibly tainted by patriarchy, racism, and colonialism. So the humanities have both Left and Right defenders, Left and Right critics. The Left defenders of the humanities are notoriously bad at coming up with a coherent defense which might actually have some effective purchase, but they have been far more consistent in defending the “useless” disciplines against politically (and economically) charged attacks. The Right defenders of the humanities have sometimes put forward a strong and cogent defense of their value, but they have had very little sway when it comes to confronting actual attacks on the humanities by Republican and conservative politicians. The sad truth is that instead of forging some kind of trans-ideological apology for humanistic pursuits, this ambiguity has led to the disciplines being squeezed on both sides. Indeed, both sides enable the humanities’ adversaries. Conservatives who seek to use the coercive and financial power of the state to correct what they see as ideological abuses within the professoriate are complicit in the destruction of the old-fashioned and timeless scholarship they supposedly are defending. It is self-defeating to make common cause with corporate interests looking to co-opt the university and its public subsidy to outsource their job training and research, just for the sake of punishing the political sins of liberal professors. Progressives who want to turn the humanities into a laboratory for social change, a catalyst for cultural revolution, a training camp for activists, are guilty of the same instrumentalization. When they impose de facto ideological litmus tests for scholars working in every field, they betray their conviction that the humanities exist only to serve a contemporary political and social end. Caught in the middle are the ranks of humanities scholars who simply want to do good work in their fields; to read things, and think about what they mean; to tease out conclusions about the past and present through a careful analysis of evidence; to delve deeply into language, number, art, artifact, culture, and nature. This is what the arts have always been and done. This is what the university was established to do. To see this, one must first understand that the popular critiques of the current state of the humanities—overspecialization, too much publication, too much obscurity and jargon, too much research and too little teaching—are fundamentally misguided. The critics, often well-meaning, think they are attacking the decadence and excess of contemporary humanities scholarship, when in fact they are striking at the very heart of the humanities as they have existed for centuries. Critics complain that, instead of traversing the whole length and breadth of the wide expanse of human knowledge, today’s scholars restrict themselves to little patches here and there. One English professor might work on a single third-rate Victorian novelist; another might be content with otiose exegesis of thirty-year old French theory; a third might measure his years in seventeenth-century typography. But this is hardly new. 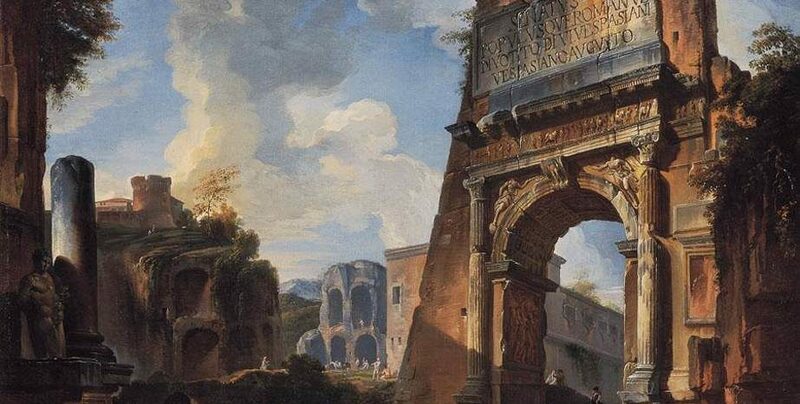 The only remains we have of the undoubtedly fascinating Roman scholar Vibius Sequester is a catalogue of the names of rivers, forests, mountains, and the like in poetry. Julius Obsequens evidently did not care about anything but prodigy records from more than four centuries before his birth. Some medieval scholars were no exception: one of the best-read men in the whole of the Middle Ages, a Master Guido, published nothing but a commentary on a mediocre Latin romance written fifty years earlier. We know the extent of his erudition only because he left a lot of notes in the margins of his dictionary. We might expect more of a Renaissance man—and indeed, any number of scholars of the fifteenth through seventeenth centuries displayed the rovings of astonishingly broad minds. Yet the work that shot Guillaume Budé to fame was a tract on ancient money and measurement. The specialized and the obscure have always been with us; and they have always been criticized by those on the outside. No scholastic ever argued how many angels could dance on the head of a pin—it takes the fevered imagination of a philosophe to come up with that question—but popular depictions of scholars in the Middle Ages indicate that their specialized pursuits were not always fully appreciated. But the deeper irony of the criticism of specialization is that it is often accompanied by a lament for declining respect for truth in humanities scholarship. Take an important subject, say, democracy in classical Athens. If you ever want to go beyond a silly nursery story about Athens as the cradle of democracy, as the starting point that takes us on the sure road to Reformation, Enlightenment, the American Revolution, and industrial prosperity for all—if you actually want to understand the political and social system of fifth-century Athens, you would have to delve into everything from epigraphy, to the minor Attic orators, to comedy and tragedy, the Greek economy, trade relationships in Greece and the Mediterranean, coinage, ship construction, material supply chains, colonies, gender roles, even clothing and food. In other words, it would require a vast amount of “useless,” overly specialized inquiry. The alternative is simply bad scholarship and, what’s worse, bad scholarship produced in the service of nakedly political objectives—precisely what was objected to in the first instance. Not only is scholarship in the humanities obscure, the critics continue, but today it is produced in such volume, churned out in monograph after monograph, article after article, destined never to be read by more than a handful of intrepid souls or enthusiasts. This is both true and false. It is true in a trivial sense: there is more scholarship produced now than ever before, but that is only because there are vastly more academic institutions and hence vastly more academics trying to get by and make tenure or get a raise. But it is false in every other sense. Aristotle offers the key of wisdom, wrote one despairing thirteenth-century scholar, but he hid that key in so many books. From that period on, for two centuries, to become a reputable and licensed teacher of theology, you needed to produce hundreds and hundreds of pages of densely argued commentary on the Sentences of Peter Lombard, a twelfth-century compendium of theology. Tens of thousands of these commentaries weigh down the shelves of European manuscript libraries, many of them probably never actually read in the seven hundred odd years since they were written. Masters of arts wrote commentaries on Aristotle. These number again in the thousands—so many that we do not even know how many still exist, much less what they actually say. Charles Lohr’s magisterial Latin Aristotle Commentaries, which simply provides a list of authors, works, and manuscripts, is in five hefty volumes. Olga Weijers, by contrast, just looks at the University of Paris, including all masters of arts, once again with just a list of works and manuscripts. Her Le travail intellectuel à la Faculté des arts de Paris: Textes et maîtres (ca. 1200–1500) is projected to conclude in nine substantial volumes. This period is when the university was born. Academic overproduction has always been a feature of the university and always will be. It is structural. Academic works are written for many reasons—for qualification, for institutional and personal advancement, even to be a lasting contribution. But they are not written to be read, at least in the normal sense of the term. The third leg of this tripos of critique is the myth of teaching. Professors nowadays, the critics aver, do not spend their time and energy teaching students. The university has lost its way, sorely neglecting its primary duty in teaching students. These critiques, whether from the right or left, betray a rather limited horizon of imagination. They can only see the university as a fee-for-service corporation, a vendor hawking knowledge. But the irony of these critiques is that it is precisely this which has always separated the university from other educational bodies and initiatives. A school—be it a Gymnasium or Realschule, a collège or a lycée, a grammar school or comprehensive, a preparatory academy or a public school—exists to teach. But the difference between a university and a school is not the mere difference of the age of the student or the level of instruction. The university is a different kind of thing. It was founded, at least at Paris (Bologna is another story altogether), as a corporation or union of masters, both to allay the pernicious effects of competition for students and to exercise some sort of quality control on the doctrine propounded. But it channeled what was once a competition for students into what we would now call research—through, for example, quaestiones disputatae and lectiones. Students participated and took sides, and thereby eventually came to be masters themselves, and undoubtedly the money they brought helped keep the institution going. But in the general atmosphere of an ancient university, of which one can only catch hints and glimpses here and there, students and their education were hardly the sole focus. At times, they may even have seemed incidental. Indeed, some universities, like Cambridge, often supported a vast ecosystem of teachers who played a vital role in the actual education of students (for pay), but who had no formal connection to the university itself. The contemporary explosion in the tutoring industry, the test-prep cartel, the paper-editing racket, is perhaps a far-sounding echo of this same phenomenon. The cure proposed for the crisis of the humanities is worse than the disease: it seeks to save the humanities by destroying the conditions under which they thrive. If scholars in the humanities stopped researching arcane topics, stopped publishing them in obscure journals nobody reads, and spent all their time teaching instead, the university itself would cease to exist. We would just have high schools, perhaps good high schools, but high schools nonetheless. We began with the crisis of the humanities and ended with the survival of the university itself. This is no accident. The heart of the university is the arts, understood broadly. For the first centuries of the institution’s existence, every student had to traverse the arts curriculum before they could go on to achieve an employable degree in law, medicine, or theology. At any given time, the arts faculty and students would have formed by far the largest bloc in any university. The fact that students are still awarded BAs and MAs is a distant echo of their centrality. The arts they taught were in theory the seven liberal arts, although in practice primarily grammar (which included almost everything we would now call literary studies) and logic. But the formulation of the seven liberal arts permits a wide mandate covering most of what we consider the humanities—everything connected with the understanding of what’s written down—as well as the first and last letters in STEM, mathematics in all its branches, the physical and natural sciences. Alongside the arts were the three highers—theology, law, and medicine—which had a more professional orientation and sat in an occasionally uneasy truce with the arts. Theology might be a special case now, its lot being firmly cast with its old adversary the arts, but the other two highers, indispensable as ever, will survive with or without the university. What has happened relatively rapidly is the absorption of all areas of human endeavor into the university, at the expense of every other form and institution. Few are the ateliers, but you can specialize in painting at university. One of the premises behind the land-grant universities dotting the American landscape is precisely that they could foster progress and innovation in agricultural science. That may well have been a fine idea, but there is no particular reason that you need a university to improve yields and reduce livestock mortality. When Illinois Industrial University was established in 1867, it was supposed to be a purely technical institution. After 1885 it became the University of Illinois, and within decades, its presidents realized that they needed to build a proper humanities core to justify being a premier public university. The first decades of the twentieth century saw both its classics and English literature departments become leading American centers. In 1992, a whole cadre of British polytechnics were officially dubbed universities. Some of them—Lincoln is just one example—responded by building up a humanities core; others remain almost entirely technical institutions designed for career preparation. The contemporary university is a strange chimaera. It has become an institution for teaching undergraduates, a lab for medical and technological development in partnership with industry, a hospital, a museum (or several), a performance hall, a radio station, a landowner, a big-money (or money-losing) sports club, a research center competing for government funding, often the biggest employer for a hundred miles around, and, for a few institutions, a hedge fund (“with a small college attached for tax purposes,” adds one wag). Unbundling may well happen. If it does, where will the university be found amid the wreckage? Where it always has been, with the people who read (old) stuff and think about it. What is fascinating and perverse about the current situation is that what was once peripheral to the university—engineering and technology—is now at its center, and what was once its center has been reduced to the margins and forced to make a case for its continued existence. We are often told that we need to articulate the case for the humanities in order to survive the current budgetary and political landscape. Many of us stutter and stumble when confronted with such requests, mumbling some barely audible phrases involving “skills,” “relevance,” “a changing economy,” “engagement,” and “values.” The reason it does not come out as something coherent or articulate, much less compelling, is that the ideas behind the words are just as hollow, and we know it. Somewhere inside we all know that there is no case for the humanities. What have the humanities ever been for? Some might say, as one humanities dean put it, that the humanities teach us about how to express our ideas, and unleash our creativity. That idea barely needs refutation. The puzzled glances of actual artisans, writers, and artists—who historically have had little university training—should be enough to disabuse us of the notion that “Introduction to Food Studies” is a necessary prerequisite to making pottery or writing novels. Another says that the humanities is about the search for values. But “values” is a hard thing to put in a long diachronic frame because it is not clear that there is any analogous notion in any culture besides our own. Values can hardly be a necessary component of the humanities—much less the central core—if there was no notion of them for most of the humanities’ history. Furthermore, making values, however specified, the defining feature tends invariably to privilege certain disciplines, literature especially, over others. Values might have a lot to do with Golden Age Spanish literature; but what have they to do with historical linguistics? A supposedly related goal for the humanities is that of ethical training. This assertion is more difficult to challenge, since humane letters have long been regarded as imparting some sort of ethical or moral education. But do they? An informal survey of humanities scholars might not lead one to optimism on that score. Even then, incommensurate paradigms pose a challenge. A polyamorist who volunteers for Greenpeace may be one person’s ethical paradigm; a staunch monogamist who happens to drive an SUV is another’s. But they are not obviously compatible with each other. Which one would a humanistic education produce? Another might say that the humanities are about truth. But that is a slippery argument: many things are true in one sense or another, and certainly the vast majority of such things do not fall under the remit of the arts. Now maybe there are truths that are more important than other truths, but that can only be delineated within a particular framework. For some, theology might provide that framework; for others technology. Humanists obviously have their own framework, but the humanities is that framework. Hence, a petitio principii. Finally, we are most commonly told that the humanities are about skills, particularly mental skills that are transferable to other disciplines. There is something valid about this argument: learning to parse Sanskrit undoubtedly entails some general cognitive benefit. But those benefits are always by-products. No one is ever going to want to learn Sanskrit because it will give them a leg up in a fast-moving economy. No, people want to learn Sanskrit for inscrutable reasons, and along the way they may (or may not) obtain mental sharpness and intellectual agility. Hard manual labor, sports, and working out are not the same thing, even if they all can improve our physical condition. It will never be a compelling case for the humanities that they are like a gym for the mind. Forget about attracting administrators—that line will not even get you any students. By-products can be wonderful things, but if there is anything that we should have learned by now, it ought to be that if the by-product ever becomes the primary motivation, the by-product itself will soon wither and die. We cannot attribute the present decline to some change in historical circumstance. Writing a commentary on Virgil is just as useless now as it was in the year 450. The reality is that the humanities have always been about courtoisie, a constellation of interests, tastes, and prejudices which marks one as a member of a particular class. That class does not have to be crudely imagined solely in economic terms. Indeed, the humanities have sometimes done a good job of producing a class with some socioeconomic diversity. But it is a class nonetheless. Roman boys (of a certain social background) labored under the grammaticus’s rod because their parents wanted to initiate them into the wide community of Virgil readers—a community which spanned much of the vast Roman world, and which gave the bureaucratic class a certain cohesion it otherwise lacked. So too in the Middle Ages: it is no accident that what we might think of as the scholastic and the courtly are so often linked. Reading Virgil, commenting on Aristotle, participating in quaestiones disputatae, writing chansons de geste and romances—these made scholars, bachelors, masters, and doctors alike, set apart as an international community embedded in but separate from the international community of the Church, the religious orders, and the waxing national powers. So too the humanists of the fifteenth and sixteenth century—the ones who helped ease us away from the arts to the studia humanitatis. They formed a certain class marked by a certain set of tastes and interests, entangled with church and state, but notionally with some sense of identity as being part of something else as well. So too the Republic of Letters of the seventeenth and eighteenth century, which put into practice (not always successfully) the idea that membership in this transnational class could even cut across confessional lines. It remains true today. Deep down, what most humanists value about the humanities is that it gives them participation in a community in which they can share similar tastes in reading, art, food, travel, music, media, and yes, politics. We might talk about academic diversity, but the academy is a tribe, and one with relatively predictable tastes. It does not take a particularly sharp observer to guess whether a given humanist might be fond of some new book reviewed favorably in the LRB or some new music discussed enthusiastically on NPR. The guess might not always be right, but if even odds are offered our observer could get away with a tidy sum. If the bet were on political affiliation, the payoff would be almost guaranteed. As teachers, what humanists want most of all is to initiate their students into that class. Despite occasional conservative paranoia, there is not some sinister academic plot to brainwash students with liberal dogma. Instead, humanists are doing what they have always done, trying to bring students into a class loosely defined around a broad constellation of judgments and tastes. This constellation might include political judgments, but is never reducible to politics. It is also very susceptible to change. For two hundred years or more, European universities were deeply enmeshed in the pernicious stupidity of Ramism, with Ramist professors installed across Europe in any number of the humanistic disciplines. Eventually the fad dissipated, and today, the celebrated method of Petrus Ramus holds little more than antiquarian interest. We should not assume that the current modes and fashions of the academic class are permanent. But if they are to change, that change will come from the inside. The mere existence of a class is, however, not a case for its existence in society as a whole. Professors as a class would hardly be the most popular members of society, particularly among some demographics. Telling the state and the people that they should continue to support higher education in order to turn out more people like the professorial class is rather unlikely to generate any enthusiasm. But it goes further: justifying the tastes and prejudices of that class without reference to the internal logic of the arts themselves is impossible. The justification for the humanities only makes sense within a humanistic framework. Outside of it, there is simply no case. Whatever administrators and legislators might think, the fact that there is no case for the humanities is irrelevant. The humanities do not need to make a case within the university because the humanities are the heart of the university. Golfers do not need to justify the rationale for hitting little white balls to their golf clubs; philatelists do not need to explain what makes them excited about vintage postage at their local stamp collecting society. Lawyers (usually) do not have to make a case for the Constitution when arguing before the Supreme Court, because the Court is an institution established to protect the Constitution. So too humanists: we need to tell deans and legislators—even if they will not listen—that the university can be many things, but without us, a university it will not be. The humanities have always been, just as their critics complain, self-contained, self-referential, and self-serving. Those tendencies are exactly what enabled the humanities to create a class that continued to demand them. People have read Virgil for two thousand years, and people have built institutions designed to facilitate the reading of Virgil. Some people built their lives around reading Virgil, whereas others just spent fifteen years of their childhood and adolescence learning to read Virgil, before moving on to more lucrative pursuits. For reasons high and low, people have believed that the one qualification truly necessary—for civil service, for foreign service, for politics, for medicine, for science, for law, for estate management, for ecclesiastical preferment, for a life of aristocratic leisure—was the ability to compose good Latin hexameters. They did not do this because they thought that mastering prosody was something which would directly contribute to success in other areas. They were not looking for skills or creativity or values. They did, however, believe that conjugating irregular verbs would mysteriously produce moral improvement (perhaps it did), but they were not too concerned about how. They simply believed in the humanities, and knew from experience that they would bring students above the categories of nation, vocation, and time to become members of a class constrained by no such boundaries. For a variety of reasons, that vision has split apart on all sides, and especially at the home of the humanities—the university. Superficially, the world has seen an explosion in the number of universities in the twentieth century. The vision driving this expansion, however, has been the notion that universities can become science labs, innovation incubators, professional schools, engines of meritocracy, agents of social change, and guardians of equality. Praiseworthy these may be, but they are tasks for high schools, research labs, institutes of technology, apprenticeship programs, activism workshops, and the like. They have no essential connection to the university, but are wedded to it out of convenience. Even so, it is they who hold the position of greatest influence in the modern university. And yet, for now at least, the humanities are permitted to retain a much diminished place. They tell us the reason is that the humanities can prove useful in building skills or achieving justice, but they know and we know that, as a tool, the humanities are not fit for these purposes. At the same time, however, no one can admit that the old social function of the humanities—its creation of class distinction—lives on, if only for the shallow status demarcation of today’s elite. The most prestigious universities in the West are still those defined by their humanities legacy, which surrounds them with an aura of cultural standing that their professional purpose no longer justifies. The humanities continue to lend cachet to educational credentials, granting an elite status worth far more than any “marketable skills.” That is why every technical institute with higher aspirations has added humanities programs: accounting or law or engineering can be learned in many places, but courtoisie is passed along only in the university, and only through the humanities—and everyone knows it. Meanwhile, the humanities provide cover for the economic engine that the contemporary university has become. A Regius Professor would prefer not to think of himself as an accreditor of the next generation of corporate consultants, hedge fund managers, and big tech CEOs—even though that is the most socially “relevant” and visible effect of his work today. It is the lingering presence of the humanities that allows the modern university to think better of itself, and to imagine itself to be above commercial or political vulgarity. This “case” for the humanities is implicit in every glossy flier produced by a university development office, but no one could state it without blushing. The confusion over the purpose of the humanities has nothing to do with their relevance. The humanities are no more or less relevant now than they ever were. It is not the humanities that we have lost faith in, but the economic, political, and social order that they have been made to serve. Perhaps we only demand a case for the humanities because we cannot fathom having to make a case for anything else. Industry, too, is a fickle friend. While so-called public-private partnerships are still burgeoning, signs are emerging that our corporate masters are beginning to lose patience with the academy. Whatever direction that goes, there is little evidence that the humanities will benefit. Wells Fargo ran an ad campaign a couple of years ago, touting teenagers who gave up on humanistic and artistic aspirations in favor of more lucrative and employable pursuits, like engineering or (apparently) botany. That is the current state of the humanities: derided by the public, an easy target for lazy attacks by politicians, a scapegoat and strawman for Left and Right alike, considered useless by industry, divorced from its historic patrons in the Church. Bromides and platitudes will offer no shelter for the coming storm. It is surely not without just reproach, that a nation, of which the commerce is hourly extending, and the wealth increasing, denies any participation of its prosperity to its literary societies; and, while its merchants or its nobles are raising palaces, suffers its universities to moulder into dust. And yet St Andrews survived. Today it has more than ten thousand students, and is highly regarded, particularly in the humanities, in both the United States and the United Kingdom. This is not the first period of hardship the university has faced, and it will not be the last. The humanities and the university do need defenders, and the arts have had advocates as long as they have existed. The way to defend the arts is to practice them. Vast expanses of humanistic inquiry are still in need of scholars and scholarship. Whole fields remain untilled. We do not need to spend our time trying to come up with reasons. All we need to do is put our hand to the plow. Scholarship has built institutions before, and will do so again. Universities have declined, and come to flourish once more. The humanities, which predate the university and may well survive it, will endure—even if there is no case to defend them. 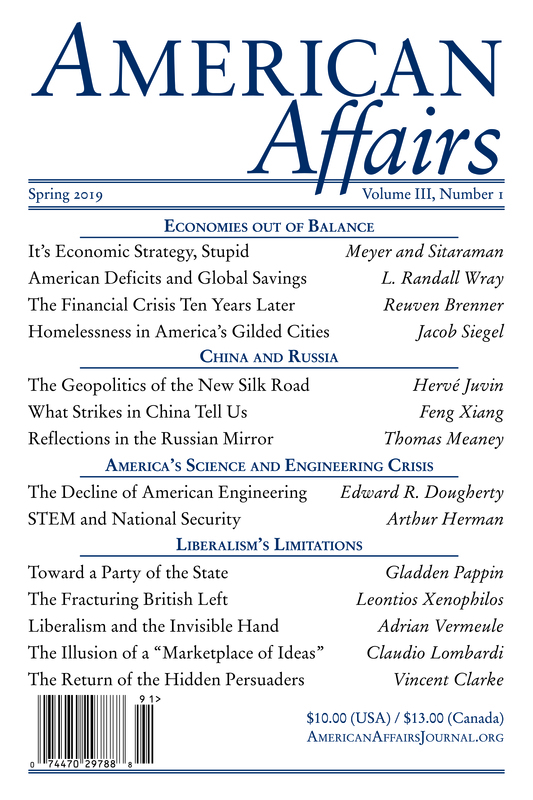 This article originally appeared in American Affairs Volume I, Number 4 (Winter 2017): 210–24. Justin Stover is a quondam fellow of All Souls College, Oxford University, and a lecturer at the University of Edinburgh.